Sleek and long, a classic barrel-back inboard 24' 6" runabout; that's the MONTE CARLO. As seen from the stern, the sides flow into the deck in a seamless circular arc resembling a half barrel. A styling typical of the finer Chris Craft of yesteryear and, when finished in gleaming mahogany, craft of this type were the choice of the affluent and the envy of others. Now you can build one of these craft by incorporating modern construction methods and have an improved hull for better performance. Although shown as two cockpits forward and one aft, the design is such that the forward cockpits can be combined to form an 81" long single cockpit for lounge or other optional seating. Because the original craft of this type were planked and modern epoxy adhesives unknown, they leaked and had to remain in the water or the seams would open up. Our updated building method uses cold molded plywood/veneers applied in laminations, completely glued and encapsulated with epoxy. The hull is virtually monocoque and thus, very strong and leak proof. Best of all, the building method is not difficult and eliminates the typical tedious cutting of rabbets and seam caulking that wouldn't stay put. Yet the final appearance is equal or better than the forerunners. The construction is simplified by the use of full size patterns, detailed plans, instructions, bill of materials and fastening schedule. The frame patterns are not just the exterior contour of the frames furnished by most. Our patterns show inner and outer frame contours and the sizes and type of corner gussets and other reinforcing members shown in place. 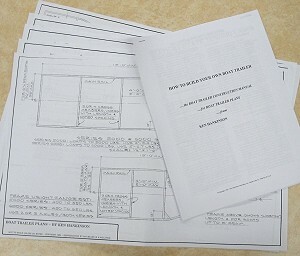 No need to loft or look on the plans for necessary dimensions, it's all drawn out on the patterns. Each frame is mounted on longitudinal motor stringer beams keyed to form the contour of the boat; a method pioneered during our many runabout construction projects over the years and emulated by many. The propulsion is an in-line inboard marine motor or conversion, minimal of about 4.8 liters or 300 cu.in. and about 7.4 liters or 450 cu. in. displacement maximum. Powering for speeds much beyond 50 MPH is not recommended. 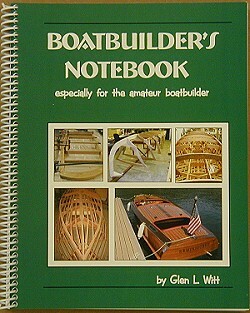 The plans specify the underwater hardware required such as strut, rudder, shaft log, etc. 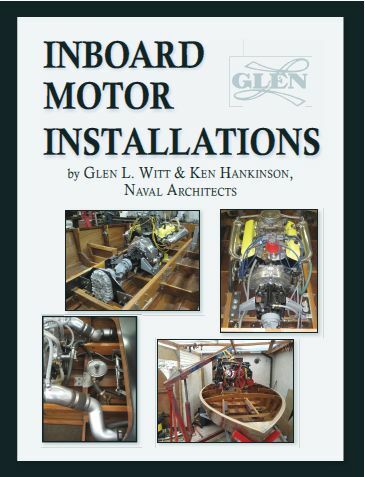 All of these fittings, custom designed for inboard runabouts, are available directly from GLEN-L; searching for the proper hard-to-find fittings is not required. 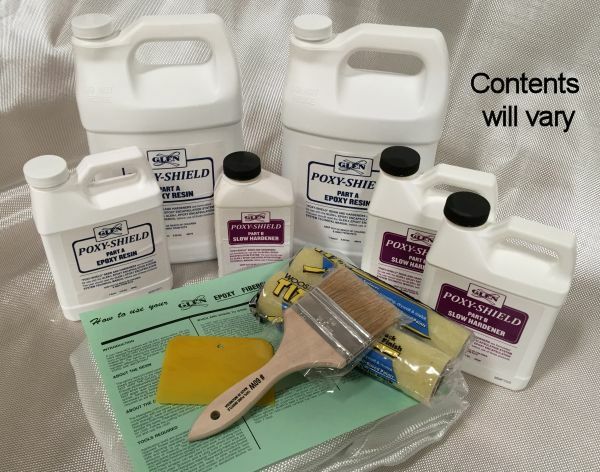 In addition, GLEN-L has available Poxy-Shield epoxy resin and Fastening Kits that furnish all of the screws and nails in the quantities, proper sizes and type as listed in the Bill of Materials.